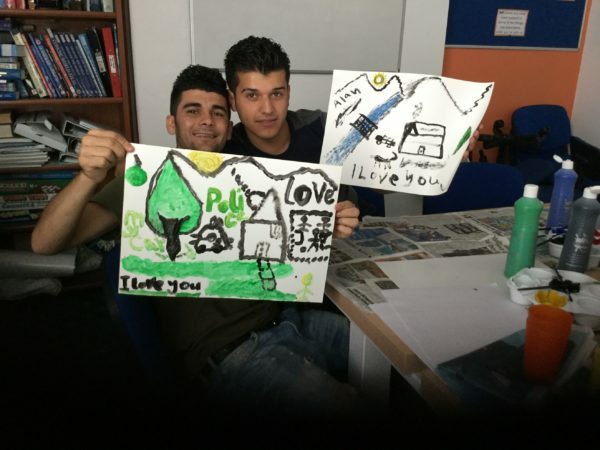 After arriving alone in the United Kingdom, young asylum seekers find a caring community where they can rebuild their lives. Jan arrived in the United Kingdom in 2014—alone, frightened, and just 16 years old. He had traveled to the UK from Afghanistan. His biggest fear was for his mother and young nephew, whom he had left behind in a refugee camp in Pakistan; he had no idea what had happened to them. 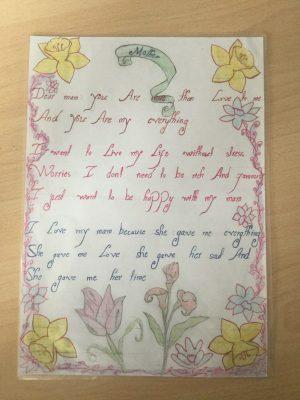 Jan’s illustrated poem, written for his mother. Even before his traumatic journey, Jan’s life hadn’t been easy. He had spent many nights witnessing his abusive father beat his mother. He, too, had been a victim of his father’s aggression and had once been beaten unconscious. Jan was alone in a foreign land—until he found asphaleia action, a Global Fund for Children partner that works with unaccompanied refugees and asylum seekers. During Jan’s first lesson at asphaleia action, he cried the entire time. He complained of regular headaches and traumatic memories of his past. He remained fearful of his father and was strongly affected by what had happened to him years ago. He longed to be with his mother and to know what had happened to her. The pain he was feeling challenged his belief in his Islamic faith and he started to feel that he had no one in his life that he could talk to. He was becoming increasingly isolated and did not interact with other young people at asphaleia’s center. Jan’s case is not unique. Too many young people who come to the United Kingdom to seek asylum are alone. Away from home, separated from their families. Unable to speak the language, and unsure of what will happen to them. Every year, many are trafficked and exploited. Many are traumatized and suffer from mental health issues. Beneficiaries of asphaleia action participate in a therapeutic art workshop. Founded in 2000, asphaleia action serves as a crucial resource for children and youth who have nowhere else to turn for help. Though focused on young asylum seekers, the organization works with hundreds of children and youth facing a variety of challenges: children with learning disabilities, teenage parents, young people living in poverty, and girls who have been trafficked or are at risk of sexual exploitation. 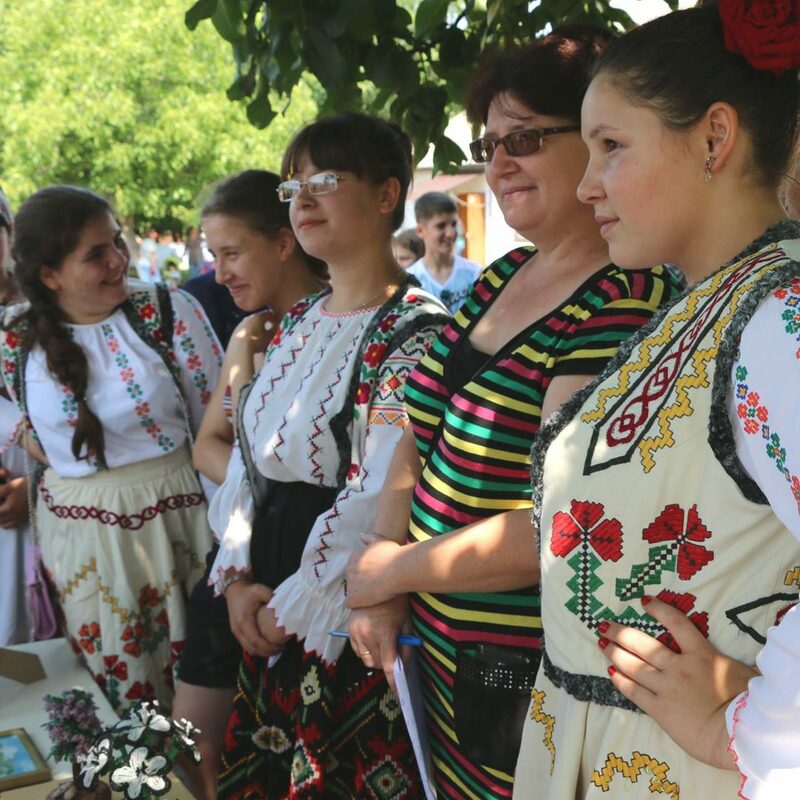 Through life skills workshops, cultural awareness training, mentoring, and art therapy sessions, asphaleia action ensures that these vulnerable children and youth are prepared to reach their full potential and to lead lives of dignity and independence. Jan began one-on-one mentoring with Nikki, an asphaleia staff member. Each week they met for an hour, working together to restore stability to Jan’s life. Nikki provided consistent, listening support, and at each session, Jan would tell more of his story and journey. After a few weeks, Nikki encouraged Jan to attend asphaleia action’s therapeutic art workshops. For the very first time, Jan began to paint. He painted the feelings in his head. He painted the sun. He painted Afghanistan. He began to attend classes more regularly. A few months after he first arrived at asphaleia, Jan said: “Nikki, I am happy.” He stood in front of her, a massive smile on his face. He had made a friend. He was loving learning English and going to college. Jan has dreams of becoming a doctor one day. While he still does not know where his mother is, he has found peace. And, perhaps more importantly, hope. In recent years, asphaleia has been expanding its program as demand for its services—particularly those for unaccompanied asylum seekers and children at risk of trafficking and abuse—continues to escalate. 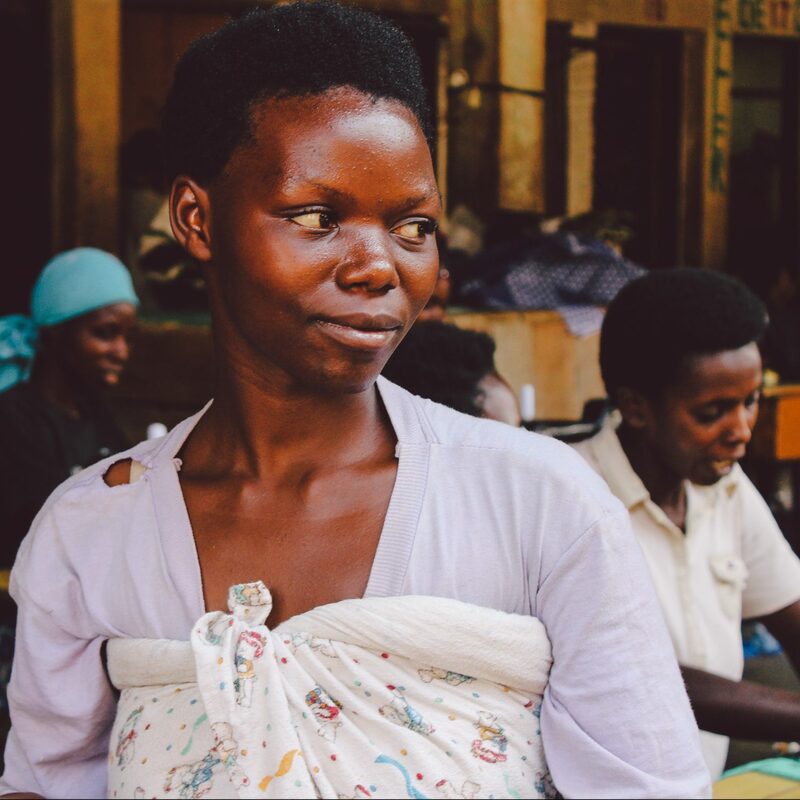 Since becoming a GFC partner in 2012, the organization has significantly strengthened its staff, has grown its budget by 60%, and has increased the number of children it serves from 160 to nearly 600. 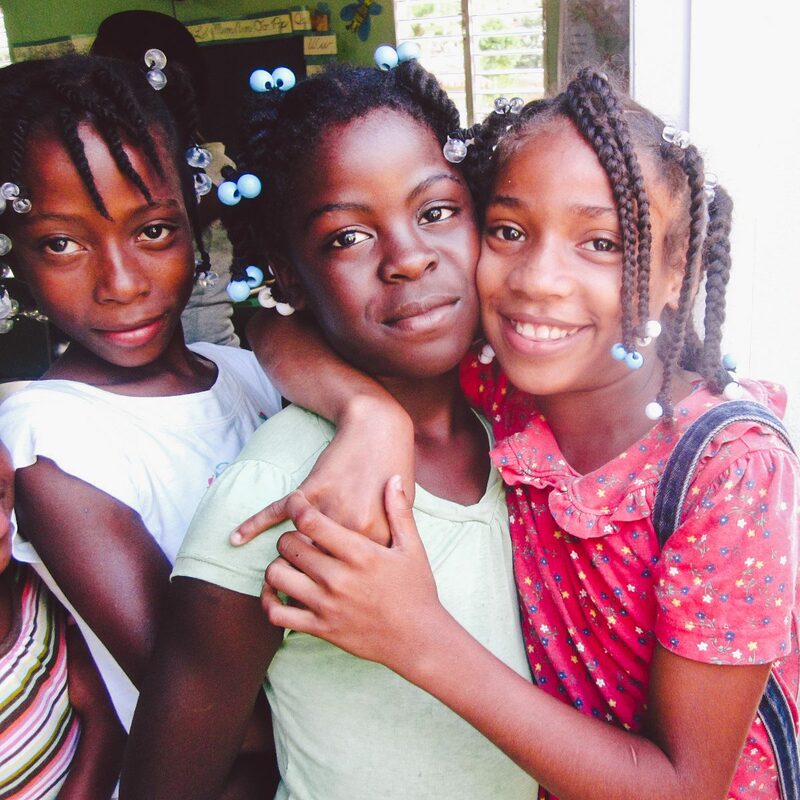 In 2016, with support from GFC, asphaleia secured numerous new grants from other funders, including a five-year pledge to assist more than 500 children and youth who are at risk of sexual exploitation. Hopefully they, like Jan, can find hope through a helping hand. While visiting GFC partners in the field, Jessica Kanya-Ngambi was reminded of her childhood in nearby Democratic Republic of the Congo. On World Day Against Child Labor, we’re highlighting three outstanding grassroots organizations that are determined to end the practice. 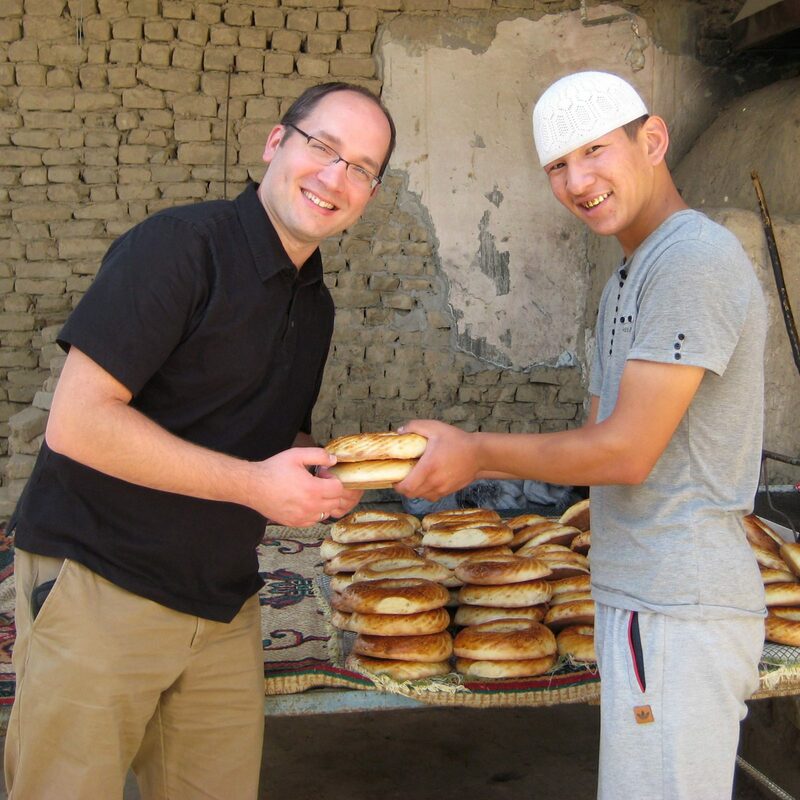 A microloan program proves incredibly valuable to youth living with disabilities in Kyrgyzstan.